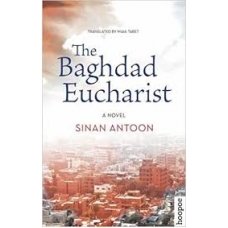 Displaced by the sectarian violence in the city, Maha and her husband are taken in by a distant cousin, Youssef. As the growing turmoil around them seeps into their household, a rare argument breaks out between the elderly Youssef and his young guest. Born into sanctions and war, Maha knows nothing of Iraq's good years that Youssef holds dear. Set over a single day, The Baghdad Eucharist is an intimate story of love, memory, and anguish in one Christian family.